Limited collection as long as stock supplies! 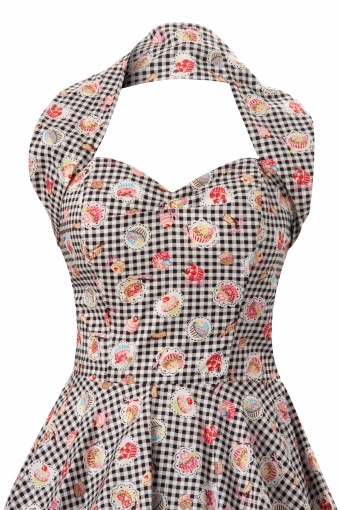 How cute is this 50s halterneck Cupcake Gingham black swing dress with yummie cupcakes! 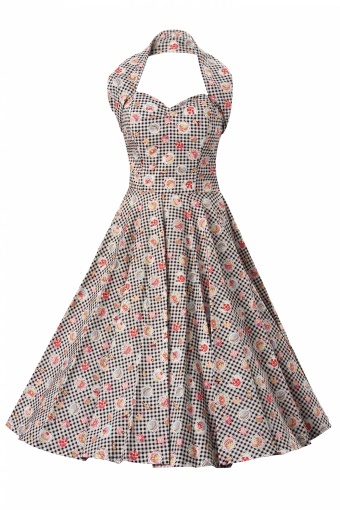 has Our 1950s style halterneck circle dresses create or emphasise serious bombshell curves, thanks to our signature cut, with its boned and lined bodice for unfailing support, a cinched-in waist and gloriously full circle skirt that's perfect for jiving the night away. 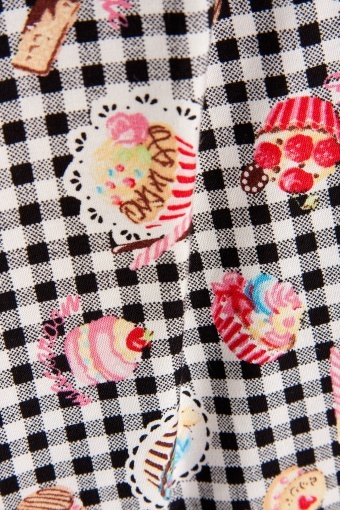 Choose from striking large squares with accessorise to your heart's content. 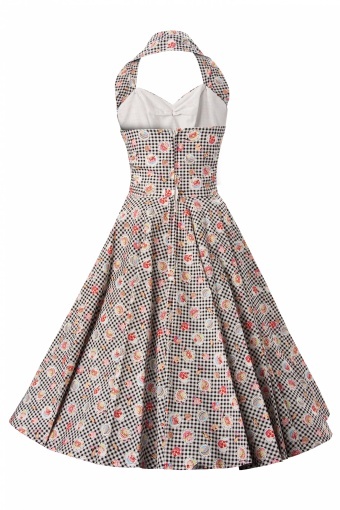 Whether you're a Doris Day or a Diana Dors, a rockabilly vixen or an old-fashioned country girl, we just offer you these dresses – it's up to you to fill them! Don't forget to check out our Accessories page to finish off your outfit. 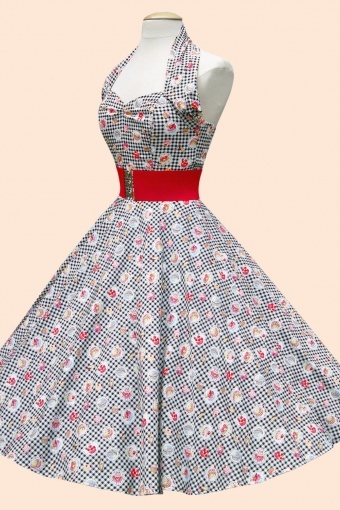 The listing is for the dress alone, luxurious petticoats are available.